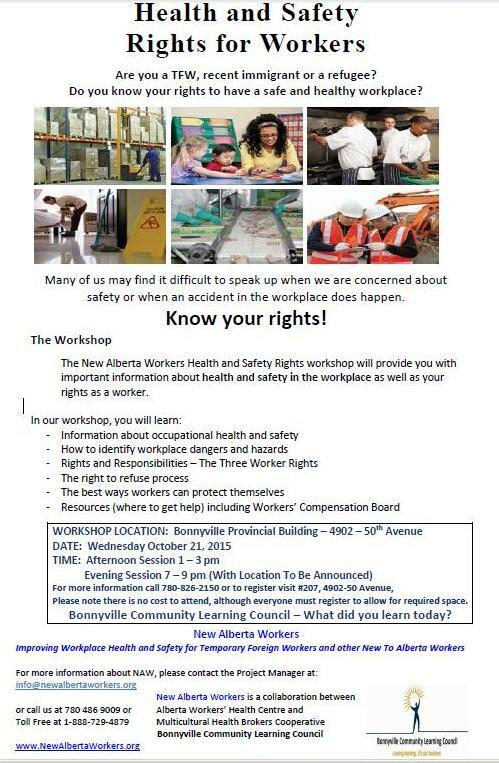 Featuring information on health and safety rights for workers. No cost to attend, but please call to register, 780-826-2150. Choose either the afternoon session or the evening session.